Hyoscyamine is an alkaloid with a range of medical benefits to offer. It is successfully used in the treatment of many digestive and other stomach problems. Read on to know more about this organic compound and its benefits. 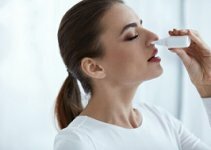 What to Do For a Missed Hyoscyamine Dose? 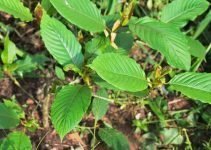 When Not to Take Hyoscyamine? It is a type of Tropane alkaloid (alkaloid containing a Tropane ring in its chemical structure). This substance is found in certain plants and is a Secondary Metabolite (organic compound with no direct involvement in the growth, development and reproduction of organisms). 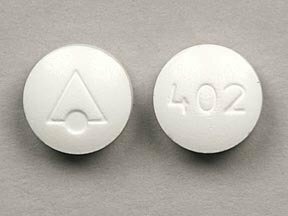 It is sometimes referred to as Levo-Atropine for being the “levorotary isomer” of the third major alkaloid of the Nightshade plant, which is also known as Atropine. This organic compound has the chemical formula of C17H23NO3. The structural name for this compound is α-(hydroxymethyl)-, 8-methyl-8-azabicyclo [3.2.1] oct-3-yl ester, [3(S)-endo]-1αH, 5αH-Tropan-3α-ol. The molecular weight of this compound is 289.37 g/mol. Half life (The time required for a decaying radioactive substance to drop to half of its initial value) of this substance is 3- 5 hours. It is a white colored crystalline powder in its normal physical state. Water solubility of this substance is 3.56mg/ml. The density of this alkaloid is 1.19 g/cm3. It is soluble in Ether, Chloroform and Benzene. It has the melting point of 108.5° C.
The ideal storage temperature for this substance is 2- 8°C. The chemical formula for this compound is (C17H23NO3)2H2SO42H2O. Chemically, it is a type of Benzeneacetic acid. It is used for medicinal purposes to treat several health disorders. It is used in treating certain heart conditions as well as preventing excess saliva production. This alkaloid is also useful for fighting certain Parkinson’s disease symptoms. Scopolamine, another useful alkaloid drug, can be produced by the recrystallization of Hyoscyamine. The basic uses of these two drugs are quite similar. Irritable Bowel Syndrome or IBS is a persistent disease of the large intestine. It causes the food to move too fast or too slow through the intestines. It may result in uneasiness, discomfort or severe pain. But it causes no serious damage of the large intestine. It is more common among women. There is no permanent cure for this disease. Some foods may increase the uneasiness by leading to a worsening of the symptoms. Avoiding those foods might be a solution in such cases. However, Hyoscyamine drugs can be used to control the symptoms and reduce the pain and cramping caused by this disease. It also fights different digestive problems like gas, feeling of fullness and bloating. Bladder Spasm is a disorder in which the patient has little or no control over the bladder. This organic substance can effectively treat this illness by relaxing the muscles. It is not safe to have this medicine during pregnancy. If in any case you plan to use this drug, you should consult your doctor before taking any decision. The FDA (Food and Drug Administration) has a gradation system where all the drugs are graded (A, B, C, D or X) according to the potential danger it poses to the patient during pregnancy. This particular medicine is graded in the “C” category. One should refrain from drinking too large or too small amounts of water while undergoing this treatment. This drug can make the eyes very sensitive towards bright light. Due to this, one should try not to go out during daytime, when there is too much sunlight. The medicine may also produce dizziness and drowsiness in patients. One should be very alert while driving or doing anything that needs concentration during treatment. Alcohol tends to increase the drowsiness caused by this medicine. 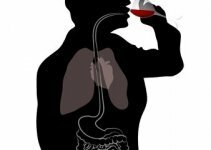 It is thus necessary to avoid drinking alcohol at the time of using Hyoscyamine medication and prevent serious problems that may arise in the patient as a result. In case these symptoms occur, the patient should immediately get in touch with healthcare professionals and avail medical services. While a dosage of this drug one should invariably follow the directions of the physician. It usually comes in a tablet form and is taken by mouth along with water. The best results can be derived when the medicine is taken 30- 60 minutes before taking a meal. Taking an antacid along with it might hamper its functioning. So, it is best to take the antacid after the meal. The medicine should be stored in an airtight container in room temperature (15- 30 °C). One should never share this medication with anyone else. In case you have missed a dosage, take it as soon as you remember. If the time for the next dosage is near, skip the missed one. It is not good for your health to take double doses of this drug within a short time span. Almost all the companies have discontinued producing this medicine due to shortage of supply and high demands. There are some medicines like Symax and Hyomax SR that are prescribed as Hyoscyamine replacements. As a medicinal drug, this Tropane alkaloid is very popular both with doctors and patients in spite of the side effects it causes. Even now, when its production has been discontinued, people are looking for this drug.